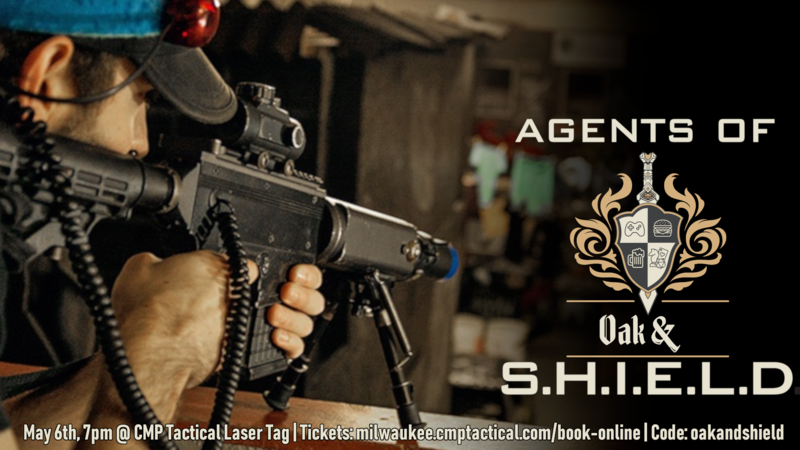 Join arms with your fellow Agents of Oak & S.H.I.E.L.D. and stand together against the forces of bright lights and epic smoke machines! Come play laser tag with the Oak & Shield staff and your fellow pub patrons—and then retire to the pub for some well deserved R&R. Rum & Resuscitation. ***While purchasing your ticket, you MUST enter promo code “oakandshield” to get the price of $30, which includes a $5 drink credit. Drink tickets will be given out at CMP, and are good for May 6 ONLY.